Looking for the ideal location and resort amenities without the costly CDD? Then you are looking at the right place. Minutes from Old Town, Disney and Hwy 192 with its abundance of restaurants and stores. 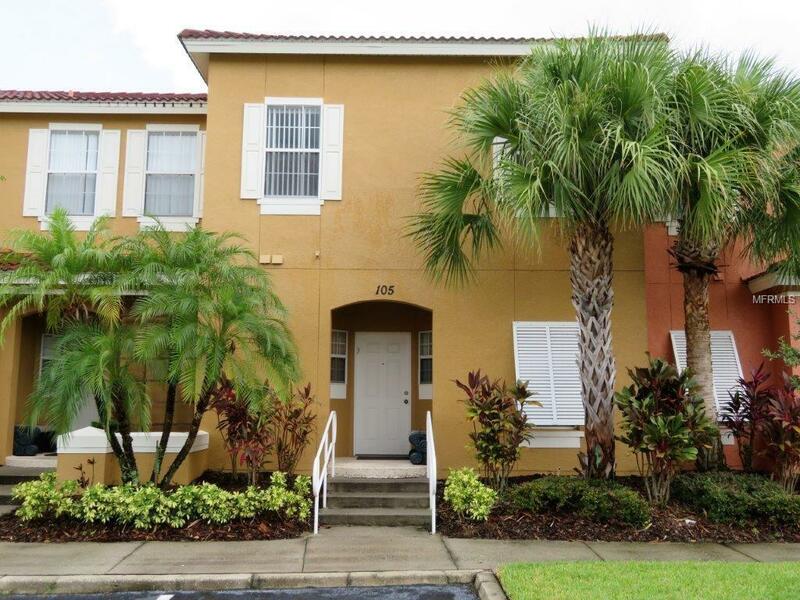 This well maintained 3/2.5 town home could be what you are looking for. Located within walking distance of the clubhouse, this home will suit someone looking for a second home, investment or family home. This nicely furnished property has lots to offer its new owner. The kitchen overlooks the front of the home and has lots of cabinet and counter space. Adjoining the kitchen is the dining room/great room with access to your private lanai complete with your own hot tub. All bedrooms are upstairs. This desirable man-gated resort community has something for everyone. Amenities include club house with fitness center, lounge area and theatre room. Outdoor activities include beach entry resort pool, basket ball, shuffleboard, mini golf, children's play area and tiki bar alongside the pool. What more can you ask for? Enjoy the Florida lifetstyle.